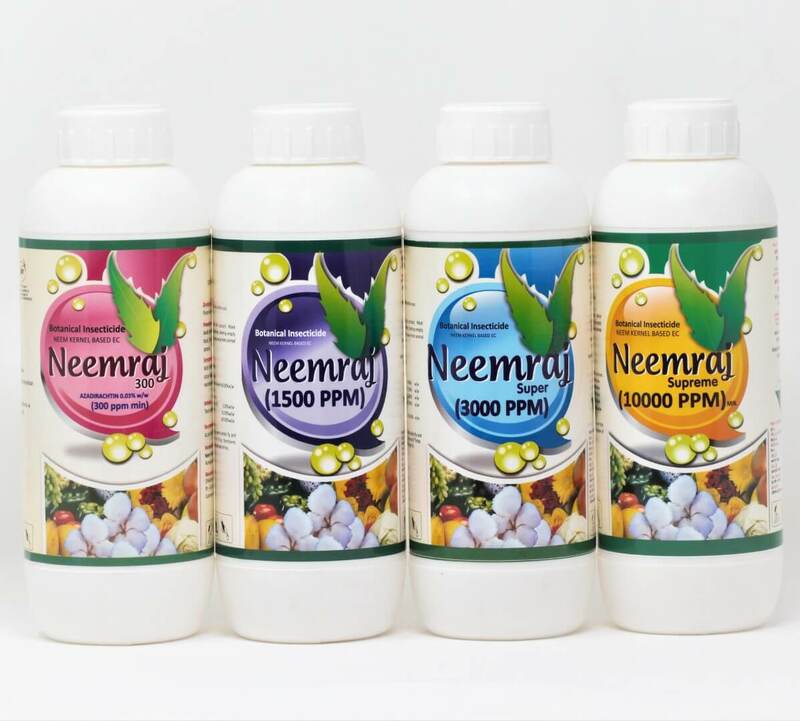 Neemraj – Neem India Pvt. 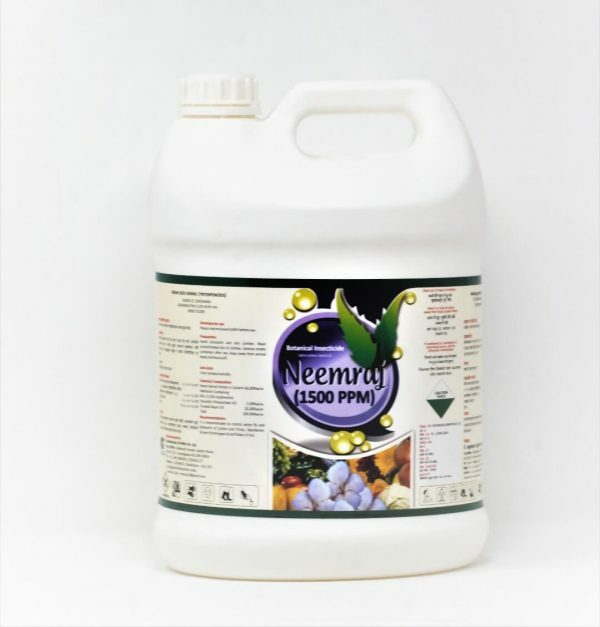 Ltd.
Neem Raj is neem based natural pesticidal formulations containing active ingredients of neem such as Azadirachtin, Nimbin, Nimbidin, Salanin etc. Azadirachtin being principle component, it is standardized on the basis of Azadirachtin content in the final formulation. 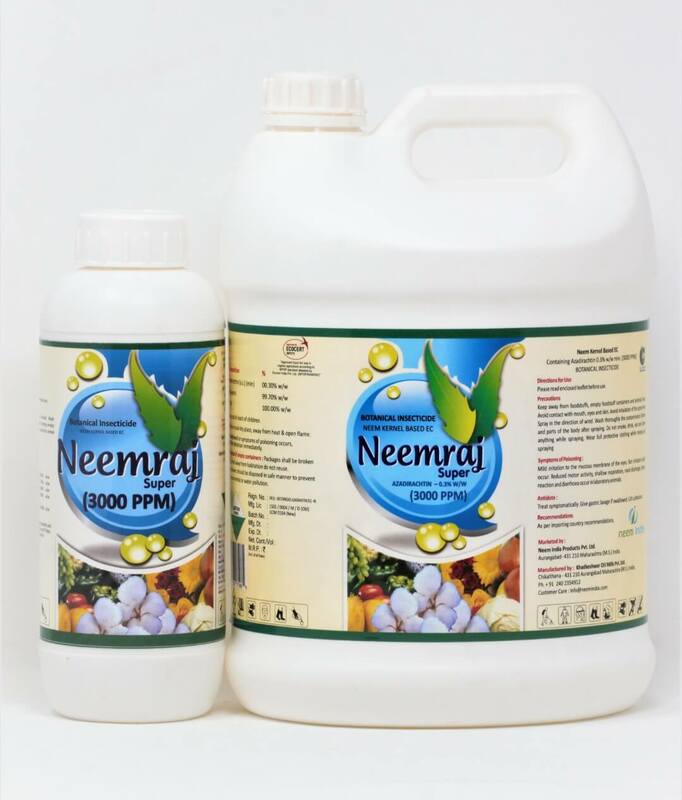 Neemraj is available in various strengths of 300, 1500, 3000 and 10000 ppm. It has broad spectrum of pest control. Totally biodegradable and eco friendly, leaving no residue. Effectively prevents damage from sucking as well as chewing insects. 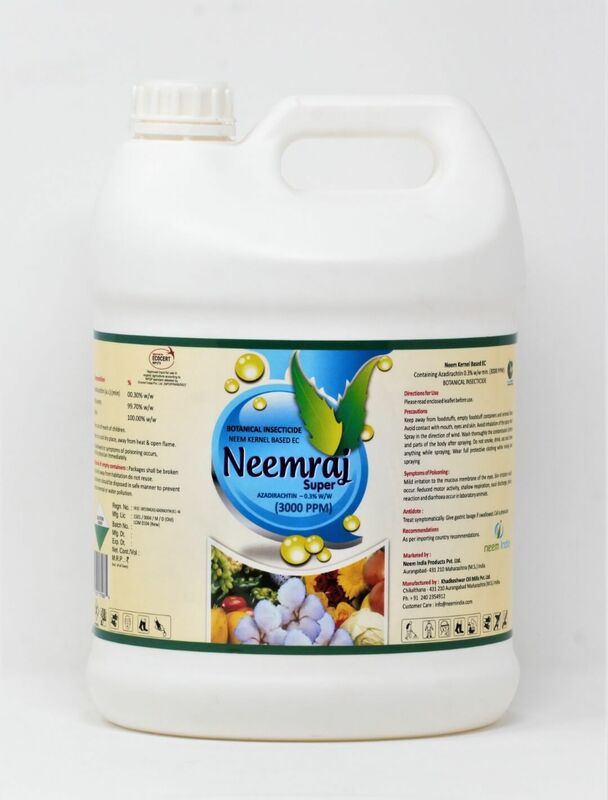 Leaves no toxic residue, hence can be safely used on field, vegetable, fruit and plantation crops. No harmful effects on human as well as beneficial insects like honey bee. Ideal source for Integrated Pest Management. Can be best applied independently in aerial sprays as well as for drenching or drip irrigation. 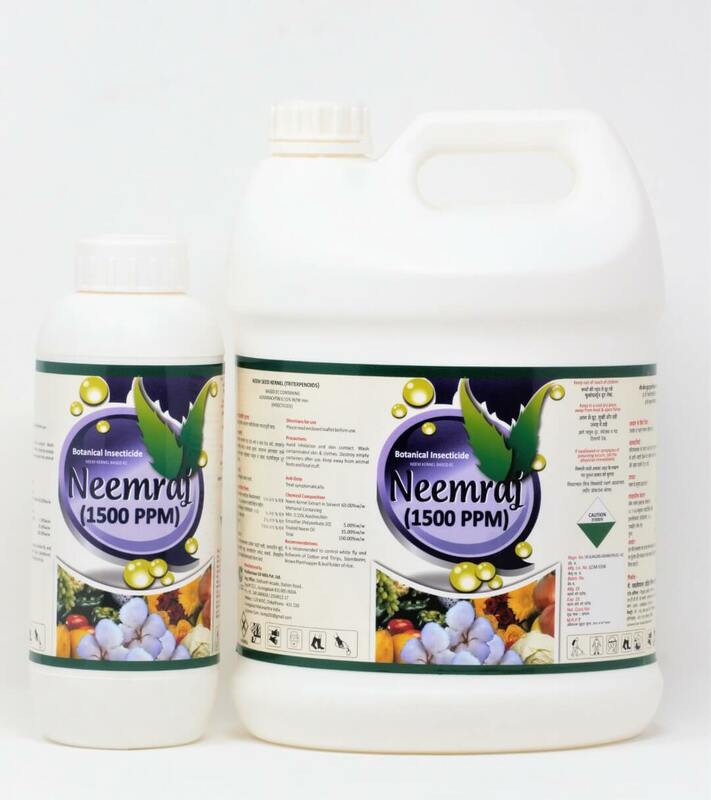 Compatible with commonly used insecticides, fungicides, herbicides and folia fertilizers. Spray when the onset of pests are expected or soon after pests are noticed. Apply during immature pest stages. Sprays during evening hours or early morning are preferable. Spray on both sides of leaves. When applied as a soil drench, avoid excessive run-off. For best results repeat application after 7 to 10 days. An average of 5 sprays are recommended for most of the crops. After spraying, if rain comes, then again apply the formulation. Avoid storage of spray mixtures. Mix a fresh for every application. Two year from the date of manufacturing if kept in cool and dry place away from heat and open fire.